Peter J. Burns III: Another Day...Another Business! 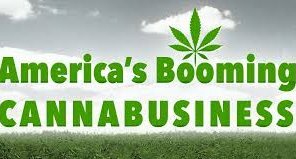 Please see www.cannabizinsiders.com, the proverbial "One Stop Shop" for all those in or contemplating being in the Cannabis business...growers, dispensary, delivery or the myriad of verticals springing up every day in this explosive new industry. Our own, Cannabiz Insiders (www.cannabizinsiders.com) was the catalyst for creating the new "One Stop Shop" in the Cannabis Industry. When I announced the first and only legitimate merchant account and cash vault solution for Cannabis companies...I was deluged with emails and calls from those seeking our one true Banking Solution (at least part of it) for the Industry. Among those calls were from closely related industry vendors...several of whom are now part of our "Family." Each of these vendors, represented on our site, are successful and credible suppliers on their own. I've met with personally or spoken at length with each supplier and I both like them and want to do business together. Our business model is to offer valid clients their products and services, that allow them to receive better prices through us than they can receive going direct. Each supplier, in turn, cross-markets our "Banking" products for a "Win, Win, Win" situation. So far, we have (or are working on), the largest Cannabis-industry insurance provider in the Nation, adding that to one of the foremost Cannabis-Compliance Attorneys in the area, the only Patented and Clinically Tested Cannabis plant disease eliminating lighting system, a revolutionary tax saving engineering process (Cost Segregation) adopted to Cannabis dispensary and growing facilities, an award-winning marketing company especially suited for the Cannabis industry and a state-of-the-art "seed to sales" software program that will revolutionize the Cannabis industry. This new venture is literally days old so keep returning to new additions to our "Preferred Vendors" for any all of your needs in the exciting Cannabis industry. And of course, we are here for all of your "Cannabis Banking" needs...our specialty.